My next few posts are going to feature the items I got for Christmas, and my thoughts on them so far. 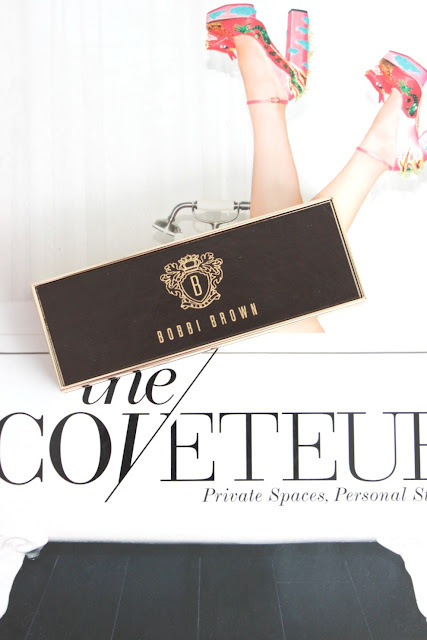 I'm going to start with the Bobbi Brown cool dusk eye palette. I haven't purchased much from the brand before, but I've always been really interested in it. I think it's been the price that has been the most off-putting, to be honest. I've played around with the palette a few times, but I've been a bit disappointed. The three colours in the palette are quite similar, and don't allow for a lot of differentiation between looks. Essentially, you can go warm brown or cool purple-taupe on the eye, and use the other shades as accent colours. The middle shade is what attracted me to the palette. 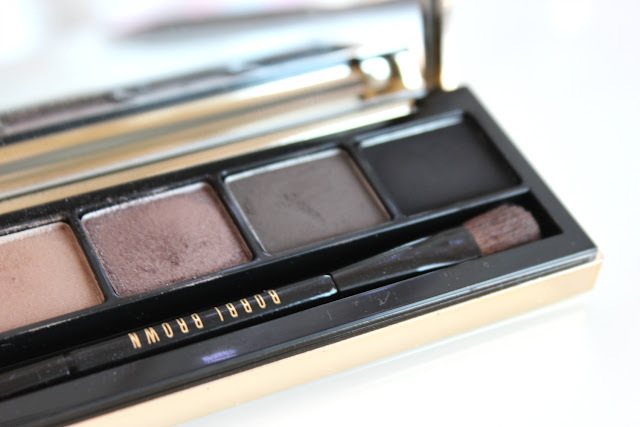 It's a beautiful purple-taupe shade thats reminiscent of Burberry Rosewood. It's creamy and applies easily, with only a bit of fallout. But I noticed throughout the day that the colour creases a bit, even with the Too Faced Eye Shadow Insurance underneath, and there was some additional fallout as the day progressed. The brown shade to the left is nothing unique, but is a beautiful creamy shade. It applies very smoothly and has relatively good lasting power. It was the two shades on the right side of the palette that disappointed me the most. 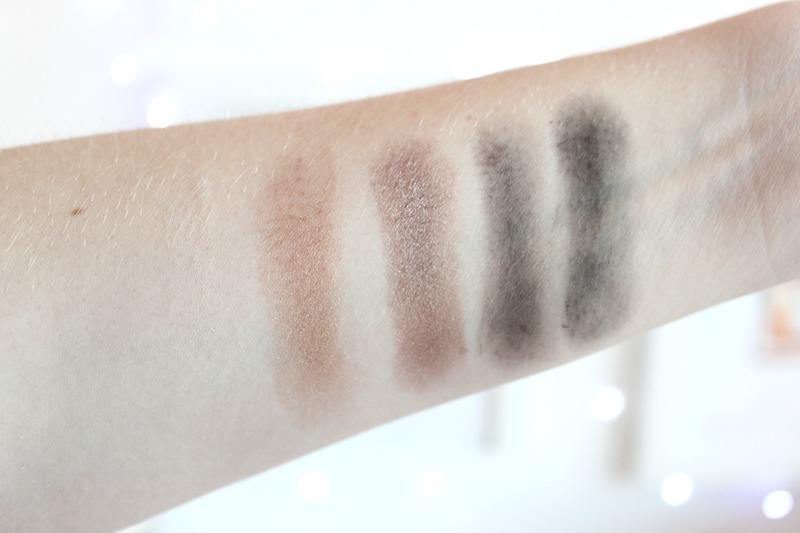 They look very similar when applied (as noted in the swatches) despite being quite different in the pan. They are streakier and less pigmented than I would have liked. The black shade was also very stiff and took quite a bit of work to get any colour payoff. 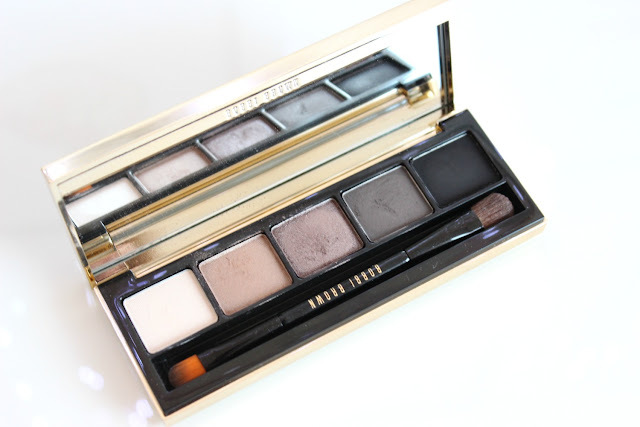 Overall, I think the palette is nice and includes rich, deep tones. Is it worth the $70+ price tag? Absolutely not. I think the colours are easily dupable and the formulation is lacking. 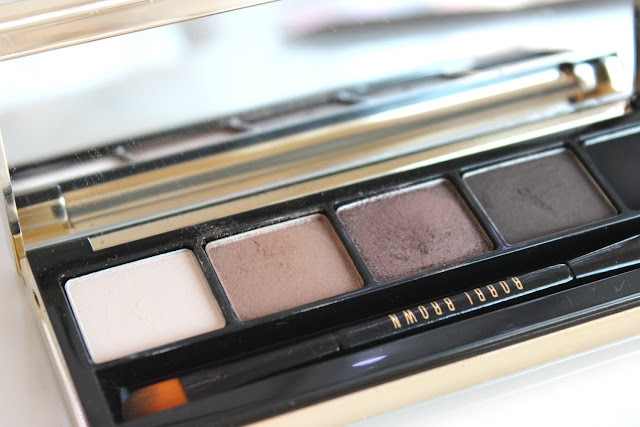 It's nice to have tried something from the brand, but I think I'll be a bit hesitant before buying another eye palette.